Feel the difference the moment you step through the door at Lolly G's Hair Salon in Stuart FL. Unlike the environment in many other salons, you’ll find an intimate, personal setting that is friendly and fun! 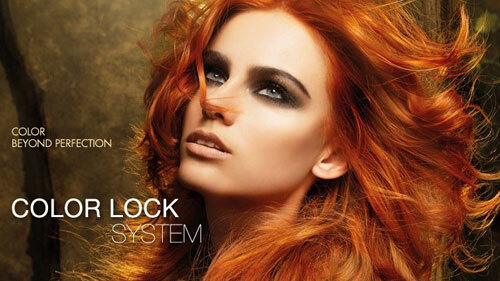 Relax from a stressful week as you get a custom look designed specifically for you! We offer the luxury of big city style with small town charm and convenience. Master colorist and Framesi educator, Laurie Greene, has created a personal setting in her studio where you will receive the type of quality hair salon services that only an experienced stylist can deliver. With over 19 years of experience in the industry, you can be confident that professional haircuts & hair color services from Lolly G’s will have the master’s touch, something well above the “standard cut and color” that you might receive elsewhere. Lolly G’s Salon specializes in haircuts for men, women's haircuts, hair color, ombre color, highlights and lowlights, as well as texture services. Every visit begins with a personal consultation to learn more about your preferences and your desired style, and you’ll also learn professional styling tips for maintaining your look at home! Make an appointment, and discover one of the best hair salon experiences in Stuart! Are you a curly girl? We are curly hair specialists! Whether you have corkscrew, Botticelli, or wavy locks, we know how to bring out the best in in your curls! If you have curly hair that seems to have a mind of its own, or if you have a daily battle with frizz, then visit our hair salon for answers. 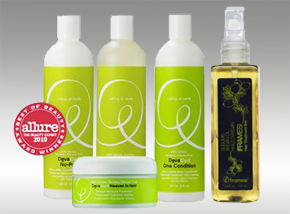 Our Deva Curl line of products is specifically formulated for our guests with curly tresses. This specialty line is infused with botanical ingredients that add moisture, shine, and extra conditioning. Winter. It can leave your locks dull, dry, brittle and stripped of shine. Is your hair showing signs of winter stress? Stuart FL hair salon owner, Laurie Greene, shares insider secrets for keeping your tresses soft, silky and shiny all winter long. With a few quick and easy changes in your daily care regimen, you can see immediate results. We've all bought shampoos, conditioners, and styling products that have miracle claims on the label but that just don't deliver. We've taken the guess work out of shopping for the best haircare and styling aids. Find out our 5 favorite products that out-perform other products on the market, giving you gorgeous healthy style and amazing results every time! Believe it or not, anyone can have beautiful healthy hair. It's a matter of following good habits and using quality products that match the needs of your particular hair type. Just as important, there are also some habits that should be avoided in order to prevent damage and moisture loss. Whether your type is curly, straight, thin, super thick, coarse, fine or in-between, our professional salon secrets can enhance the beauty and the health of your tresses. We have time-tested solutions for every one. All the specific treatments included in the hair treatment line are formulated with concentrated active ingredients that penetrate the skin and hair. Framesi has formulated a new oxidizing color with the same characteristics as its most successful products; in addition it is extremely simple to use. Purchase & print a gift certificate for our products and services right on the salon site.